Today is D-Day for Wilderness Brewing’s Kickstarter campaign. Nate and Mike, our blogging buddies from Thank Heaven for Beer are in the last 24 hours of their campaign to raise $40,000 seed money to start their very own brewery. I’ve never had any of their beer, but I hope to, and from the raves it gets on their site, I can only assume they make some pretty amazing stuff. It would be a shame if they came this close and then had to go to “Plan B” to launch their brewery. They have already raised over $31,ooo towards their $40,000 goal! That is amazing, and they have to make the $40,000 goal or they get nothing for their efforts. Yes, that is correct it is an all or nothing deal, either they make their goal or they start anew. Lets help them with a contribution. The US needs more good craft breweries, and I know these guys well enough to know if they get this going it will be a raving success. 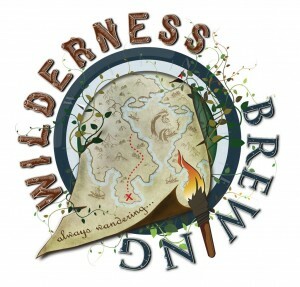 All you have to do is go to their Kickstarter Page here : http://www.kickstarter.com/projects/1693254250/wilderness-brewing-co and donate. It is that simple. I know we are all barraged with requests for $$ all the time, the Police Association, the Firemen’s fund, the NRA (for hell sake), but wouldn’t it feel good to donate to a cause for BEER? We need good brewers to be successful, and these guys are good brewers. Help them out with a pledge. They will take anything as low as $1, so I know you can all afford that. Give them a hand and make our beer world better. Thanks. EDITOR”S NOTE: I just did it, it was super easy, and I’m looking forward to getting my Keychain bottle opener! Yea SWAG! ← Las Vegas: Would You Care For a Heineken? I missed this… but looks like their funding was successful at $41,099… congratulations! !